Canon, AF35ML 35mm autofocus viewfinder camera. Photograph gallery. 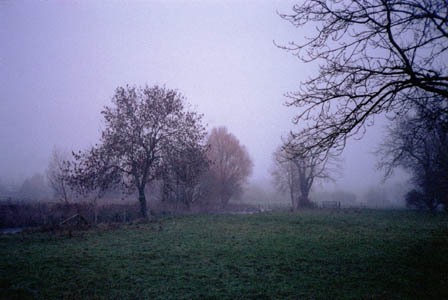 I ran a very time expired roll of 400 ASA through the AF35ML just to make sure it was all working, a top leftt, 24th December 2006 and most of the UK is shrouded in heavy mist. 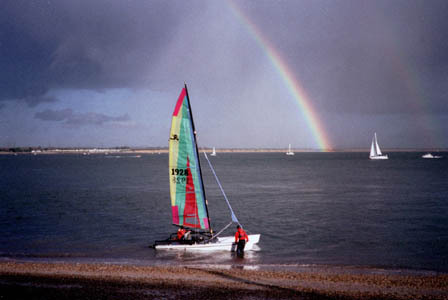 A little earlier is the shot above right at Calshot, interesting to see how much lighter the sky is to the left of the rainbow. 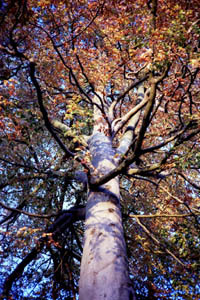 Then below at left is an autumnal tree at Hilliers Arboretum, near Romsey. The AF35ML behaved itself throughout, the autofocus system working as it should, the exposures were generally about right. The noise as the film advances after each shot is more akin to some kind of mincing machine than a camera - but it adds to the character.